This newsletter is a little shorter than usual because we have been busy practising for our Christmas play. Communication and Language-This week we have had lots of great discussions about different words that we came across when reading the Christmas story. We talked about why Christmas is celebrated and why we as a school perform our Christmas Nativity each year. Physical development-We have continued to work on our pencil grip and fine motor control this week. It is great to see just how far all the children have come with their letter formation. The children also contributed to the Christmas performance by choosing some of the moves that they would like to do to go with the song they are singing. Personal, Social and Emotional development-This week we have been thinking about how we can be enthusiastic learners around school. The children have been demonstrating enthusiasm for the topics we are learning and looking after the classroom. Literacy-We have been learning how to use Fred talk to read words this week. These are words that contain only the sounds that we know . I have also been impressed by the number of children who are choosing to mark make and write during their free activities time. We are continuing to practise writing and recognising our names. Please could you support your child with recognising and writing their name. Maths-This week we have continued to focus on numbers and ordering and recognising numbers to 20. In addition we have been counting back from 20 and counting objects and then matching them with the correct numeral. Please continue to support your child with their counting at home. Expressive art and design-We have enjoyed perfecting our singing for the Christmas play this week and joining in with the year one and two children. I have been really impressed with their fantastic singing and how much they have enjoyed being on the stage. 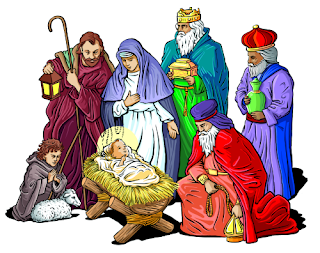 Understanding the World- This week we have been learning about the Christmas story and why Christmas is celebrated. We have had some really interesting discussions about the different traditions at Christmas and what Christmas means to us. Christmas will be arriving in FS! Your child might want to bring in a Christmas story or something special to them to share with the class. If you have any particular Christmas traditions that you could come and talk to the children about then that would be great. Wednesday 7th and Thursday 8th December- Foundation Stage and Key stage one will be performing ‘The Nativity’. This will start at 2pm in the school hall. Please make sure you have your tickets. Friday 9th December- Short reports will be sent home. Please check your child’s book bag at the end of the day. Friday 9th December- Christmas craft fair after school. Please come along and buy your child’s handmade Christmas craft. Thursday 15th December-Christmas carol concert. Tell your family the Christmas story. You could also talk about some of your favourite Christmas memories or ask an adult to talk about how they celebrated Christmas when they were your age.